Building a house on boggy land is similar to building in a wetland or marsh area or along a lake or any body of water. In areas with a high water table it becomes necessary to build your house above ground. Houses built in places with high water tables often experience problems concerning foundation if built on ground level. In very wet areas the foundation is not solid and can sift or even fall away. 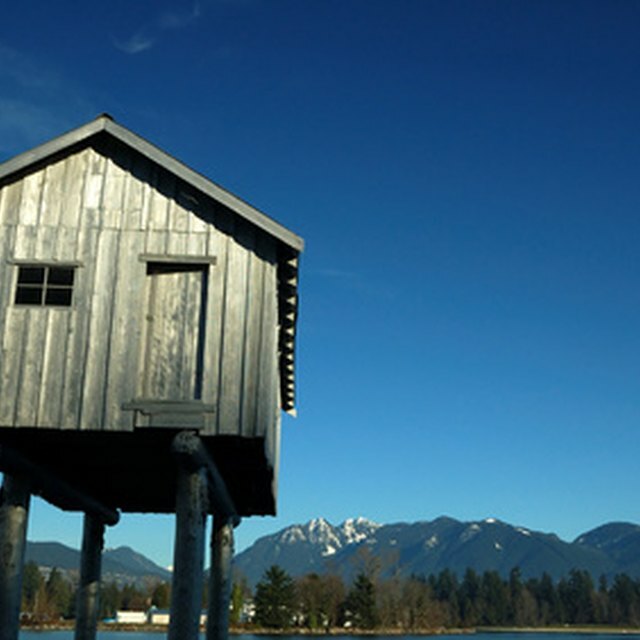 Elevating the house or building on stilts in an excellent alternative. Contact your local government office to obtain a building permit. Inquire about all existing building codes. You need to be aware of them and they must be followed. Drive in a sample piling to determine the length of the pilings that you will need. The piling must be long enough to become firmly seated into solid ground and rise above ground to the desired height. Stake out the area where you intend to build to the length and width required to accommodate the size of your structure. The supplier of your pilings can assist you in determining the number required to provide adequate support. Set the pilings using an air powered hammer or another type of power driver. The pilings may need to be driven 20 to 25 feet into the ground. Stabilize the pilings laterally and diagonally using piling caps or beams. Follow this with further support beams or stringers going horizontally. Build your home from the above-ground foundation you have just constructed. The above-ground foundation will guard against sifting and cracking which would occur with a traditional foundation. It is best to use composite fiberglass pilings if possible. This type of piling will last the longest and is a "green" choice.